A Berkshire spa break would give you plenty of options to find you perfect spa break. If it’s a venue with a great city location then look no further that the Harte & Garter. Located in Windsor and only a few footsteps from the great Windsor Castle. Upgrade your room at this hotel and sit and look at the great place all day. If you’re on a budget but still want a great spa break away in Berkshire then the Holliday Inn Reading could be the place for you. This modern hotel offers superb rates and excellent accommodation and spa facilities. If you’re a traveller of luxury, then we have two great spa venues in the Berkshire area. The first is the Fredrick’s Hotel located in Maidenhead, often referred to as the hidden gem of Berkshire. The second is the Savill Court, a glorious manor house set in its own grounds is sure to offer you that special spa break away for peace, tranquillity and relaxation. Explore Berkshire and its many sites on foot or by car. 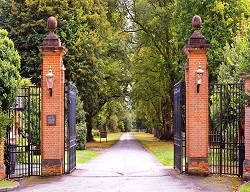 The area is well known for its connection with the Royal Family. The River Thames runs across the most northerly point of the county and provides guests with plenty to see and do. Packed within the county and lots of pretty village and towns each offering something unique to its visitors. What could be better than a morning of wending your way through each of the towns and villages and taking in the sites followed by an afternoon of being pampered in the spa with a massage or facial. Leave behind the stress of everyday life and indulge in a delightful Pamper Break at Hilton St Anne's Manor. A charming country house hotel, set in 25 acres of beautiful grounds, Hilton St Anne’s Manor, Bracknell is the perfect place for a weekend escape or longer break. The Omnia Restaurant serves up classic British cooking for you to enjoy as you. . .